The model - This resin model was released in Hong Kong in June 2006. 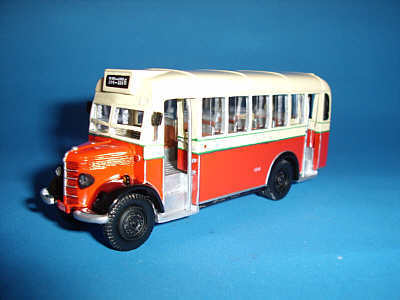 The bus - KMB received 30 Bedford OBs in 1946 and they were withdrawn during 1959. Two different types of bodywork were carried by these OBs, one a locally built body with 5 window bays between the front and rear doors, the other featuring 4 window bays, on which this particular model is based. 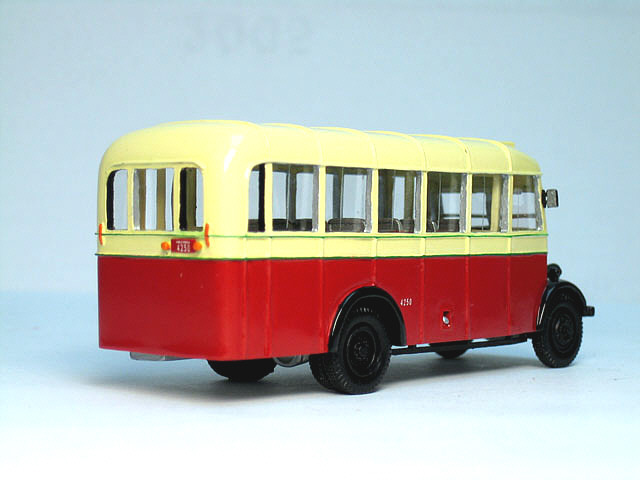 A photograph of the actual vehicle can be found in Mike Davis's excellent book "Hong Kong Buses - Volume Two - Kowloon Motor Bus".